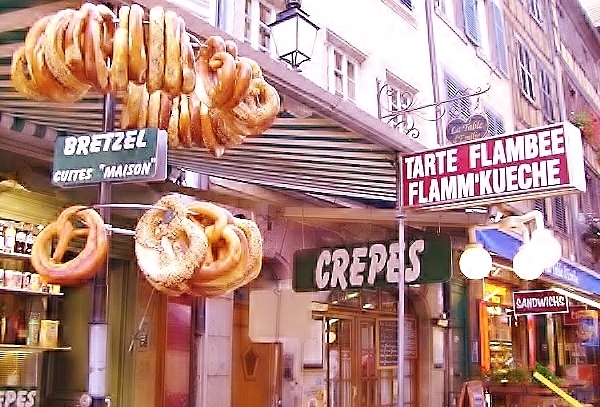 The region of Alsace is filled with delicious wine, food and flavor unlike any other in France. 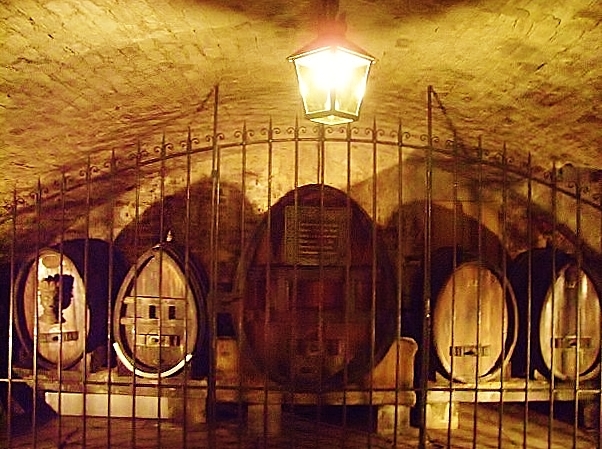 Located in Eastern France along the Rhine bordering Germany and Switzerland its wine and food are a unique blend of different cultures and history. Town squares are full of people eating Quiche, piles of Choucroute garnie (smoked pork steeped in kraut), Flamm’kueche (flatbread baked with onion, lardons) and local superbly foul Munster cheese. 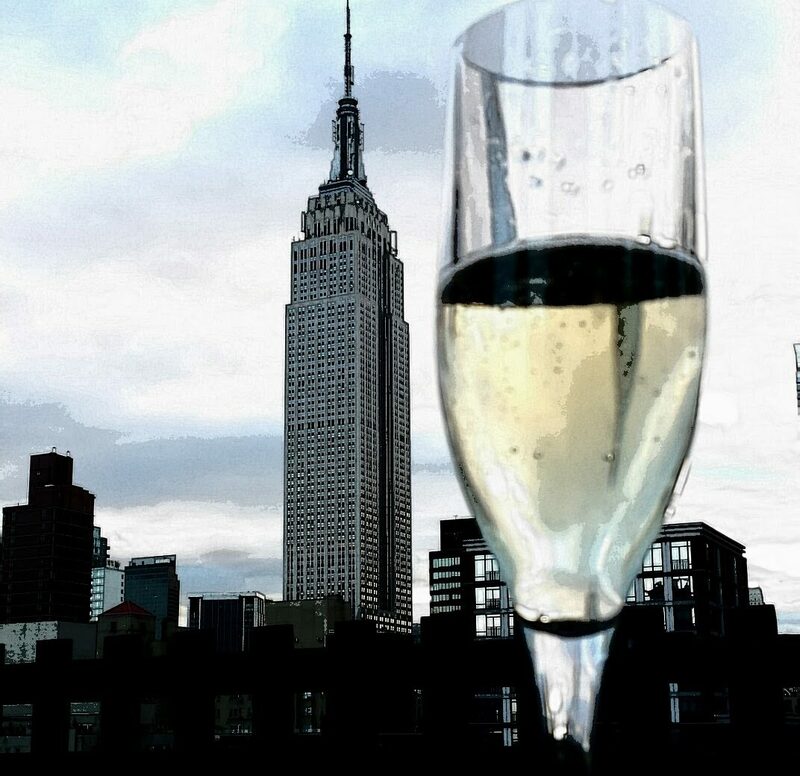 White wines shine here. It’s known for its lean, sleek Riesling, rich style of Pinot Gris and spicy Gewürztraminer. Another winner in white are the Pinot Blanc wines of the region. 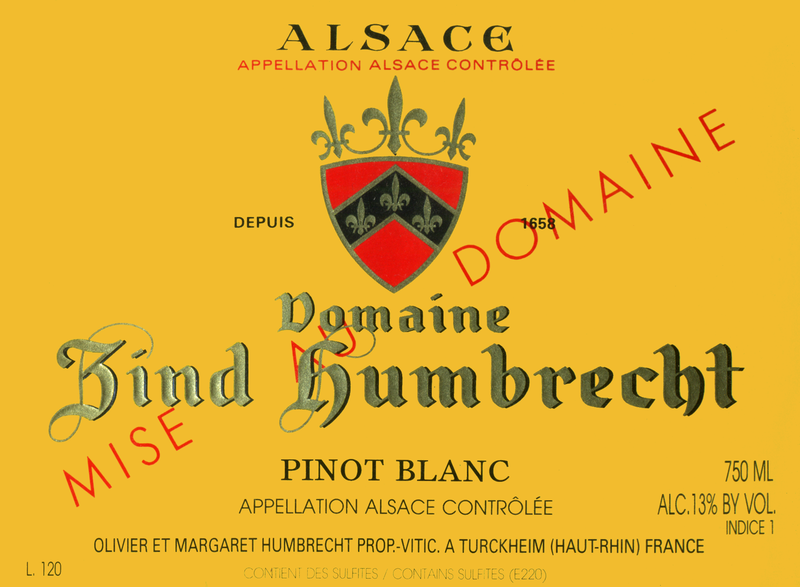 The Pinot Blanc wines of Alsace can be some of the best choices for a number of food pairings. It must be noted that producers in this region often blend Pinot Blanc with Auxerrois as Auxerrois offers less acidity, a richer texture and a slightly spicier note than Pinot Blanc, many in Alsace believe the two varieties mix well together. Therefore, a wine labeled as Pinot Blanc can be either 100% Pinot Blanc, or a blend of the two varieties. Wines that are made entirely from Auxerrois are labeled accordingly. The best examples are medium bodied with a long fresh finish. Fruit forward yet dry, slightly floral yet not overly perfumed with aromas of blossom, peach and pear drop. The versatility of this wine marries well with not only egg, cream based or cheese dishes, it also can be served with many vegetables and green salads. Many are also a steal when it comes to quality for price. 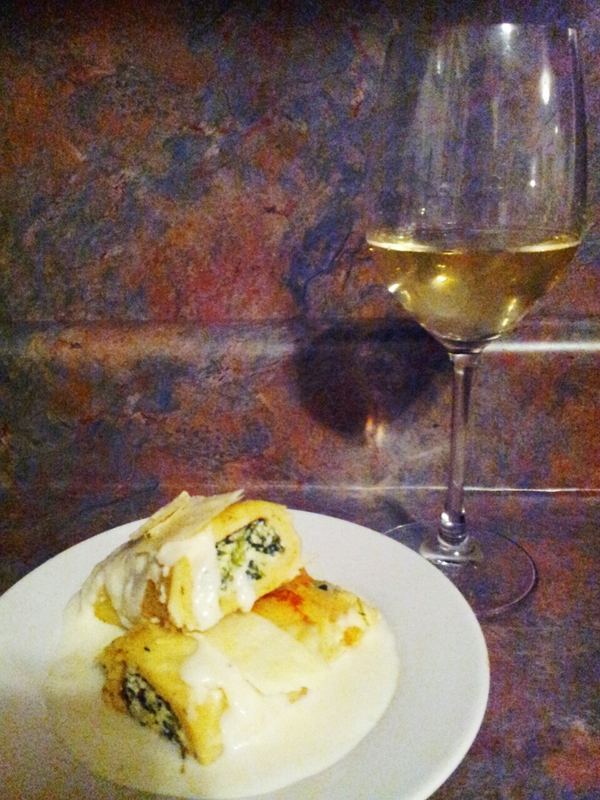 I recently tasted a few favorites to select a pairing for crespettes in béchamel, stuffed with 3 cheeses and spinach. The three below were my choices for a simple yet elegant meal made from homemade crespettes, a bit of a cross between crepes and pasta, served in a silky cream. Pick up one of these finds and try my recipe for a special night of food and wine heaven. 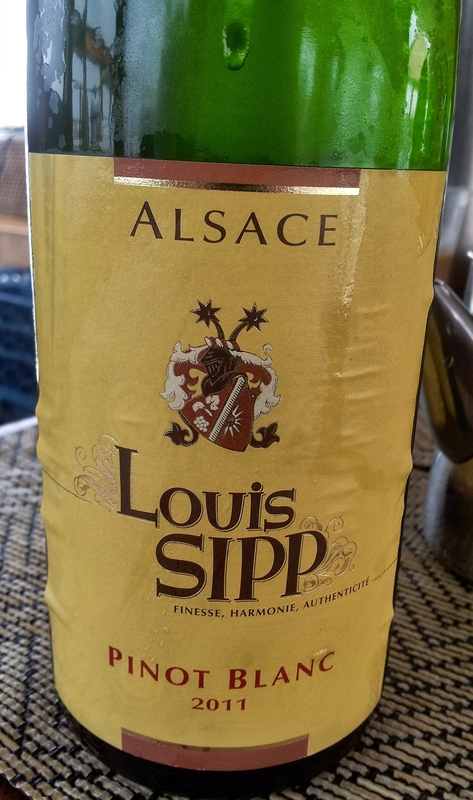 Pinot Blanc, Louis Sipp ,2012– The name says it all, this wine is worthy of sip after sip full of fresh white blossom, minerality and ripe tree fruit. A steal at under $15. Lucien Albrecht Reserve Pinot Blanc 2012– For under $12 this is ridiculously good. Ripe fruit with a weighty texture. Juicy peach, pear, a touch of spice and a crisp lingering finish. Zind Humbrecht Pinot Blanc 2011- I’ve honestly never had a wine from this domaine that I didn’t like. Zippy ginger, smoke, lush fruit and a plush texture. This is anything but neutral. Delicious for around $20. Cook spinach and set aside to cool. In large bowl mix all other ingredients. Add spinach and blend. Cover and refrigerate, may be made a day ahead. Whisk eggs, milk, salt and pepper till well blended, add melted butter and whisk again till well incorporated. Put flour in large bowl and slowly add egg mixture blending with whisk or stick blender with smooth. Stir in parsley, cover and let sit for 30 minutes to an hour. Pre heat large fry pan over medium heat (greased lightly with olive oil), add a small ladle full of batter and work pan around to spread batter into circle. Cook till set and flip carefully to cook top side. Do not over cook, just a very light golden brown is fine. Separate with foil or wax paper as you work. Makes 12 medium-sized crespettes. directions for my favorite bechamel recipe. 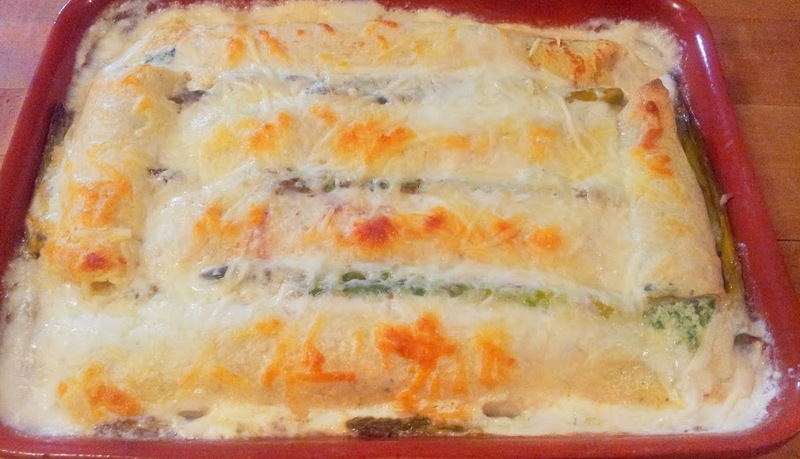 Assemble and bake at 375 degrees for 45 minutes to 1 hour- In large roasting pan ladel enought bechamel to cover bottom. 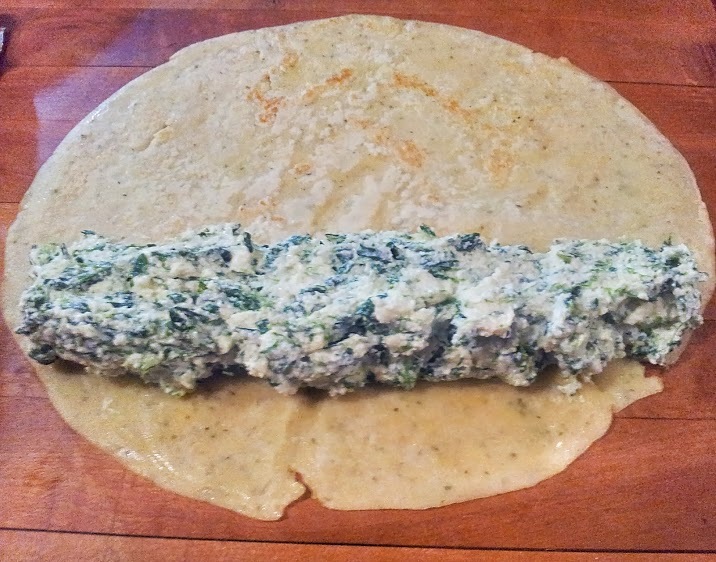 Fill crespettes with spinach/cheese mixture as shown above and roll into tight tubes. Arrange tubes lengthwise and cover with more sauce, making sure to get sauce in between each tube. Top with reserved mozzarella, cover loosely with foil and bake for 30 minutes. Remove foil and cook for another 15-20 minutes till just slightly browned. Serve with additional sauce and extra cheese if desired. *Note, I also added blanched asparagus in between crespettes but this is not necessary.